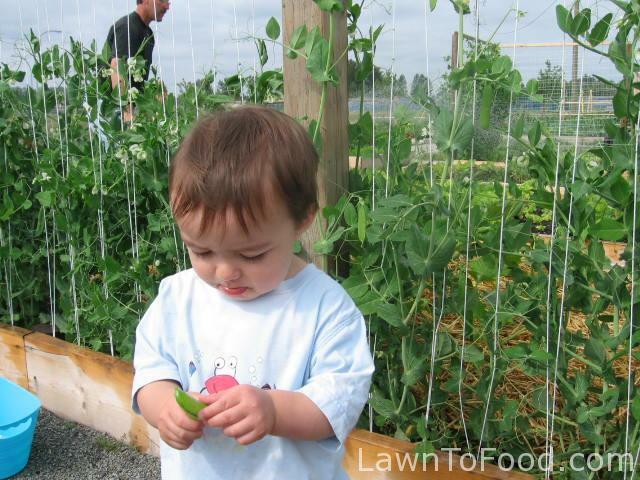 A few years ago, I knew that our 1-year-old grandson would be spending a fair amount of time with us, down at the Community Garden So we planned our vegetable plots accordingly. We wanted to make sure that he would be safe, and occupied, while we were engaged in the gardening tasks. If he was going to be joining us on a particular day, we planned for short, fun stints down at the garden. 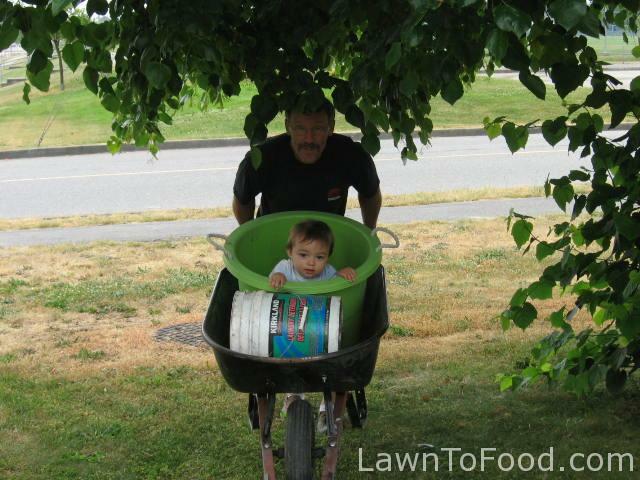 Bouncy wheelbarrow rides in the field, between our house and the Community Garden, were his favorite! The most beneficial idea we had, was to portion off a section of a raised bed, to build a sand box. By adding one piece of 2×8, removing the soil, then adding sand, we built him his own place to dig. 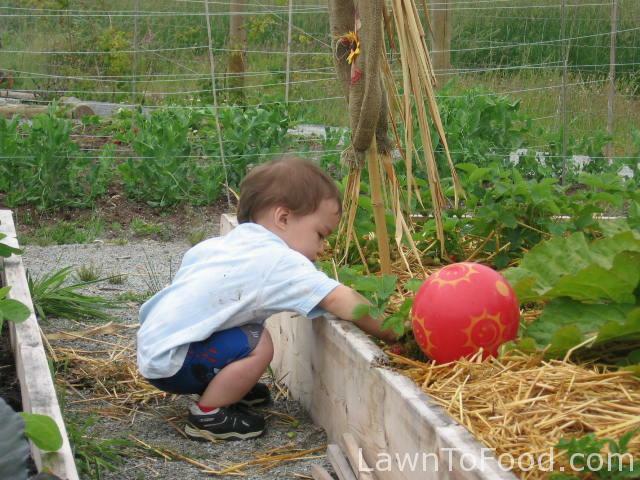 This occupied him enough to save many seedlings from being prematurely plucked by his little hands. 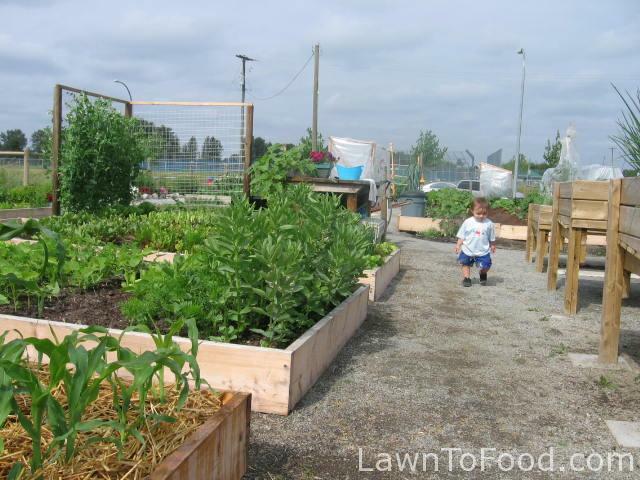 The raised bed layout of most of the garden, made it easy for him to learn where to walk and where not to walk. (The high boxed beds on the right, were for our wheelchair bound Community Garden members, and people with back injuries). 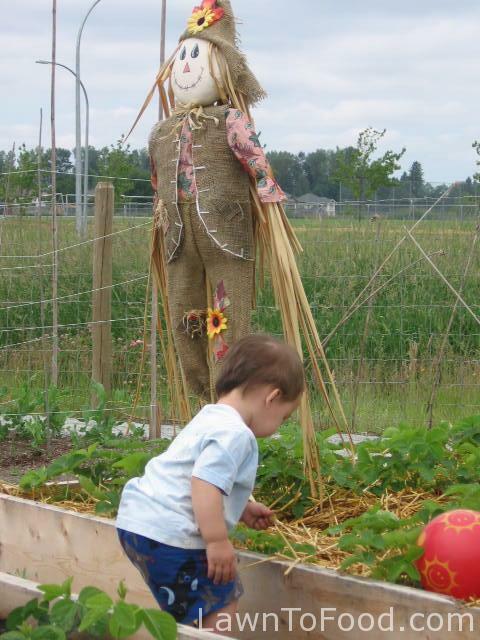 He also had one red ball, that stayed at the Community Garden, for him to kick around the pathways … well, sometimes it ended up in our strawberry patch. Having his own play place near us, enabled him to stay safe (and mostly out of mischief), while we carried on with some stress-free gardening. 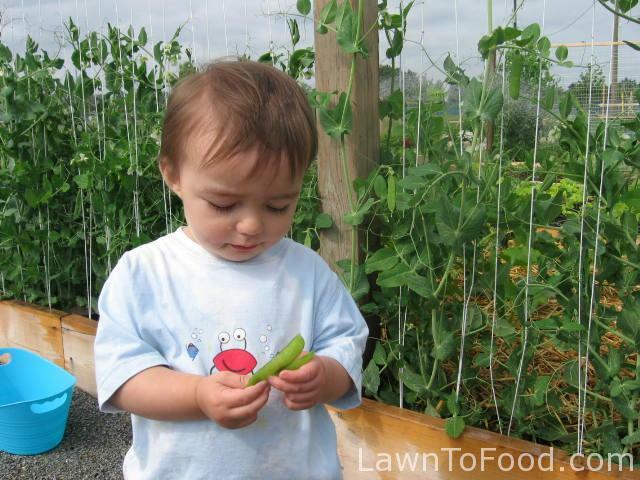 Those early experiences for our grandson have helped him develop into an avid vegetable grower, compassionate worm enthusiast and keen consumer of raw foods. 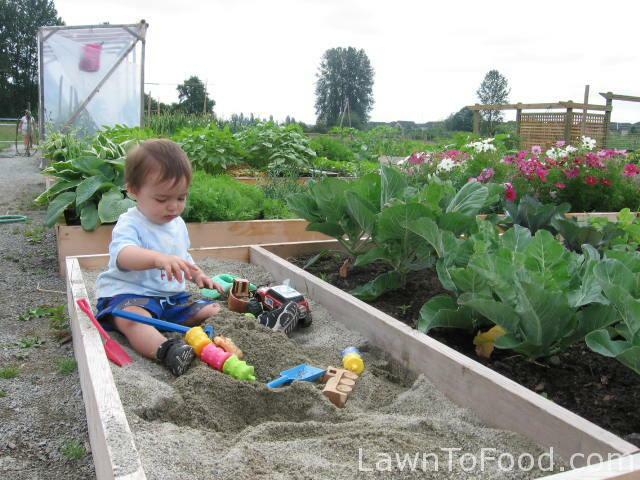 This entry was posted in Gardening w/ Kids and tagged children, garden, kids, sand box, toddlers by Lynda. Bookmark the permalink.